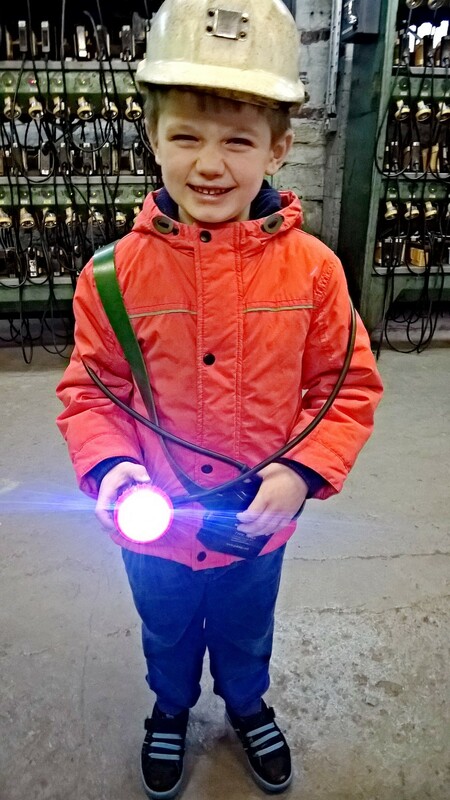 Last year the kids and I enjoyed a wonderful day out to a local museum which I have loved since been a kid myself; “The National Coal mining museum”. 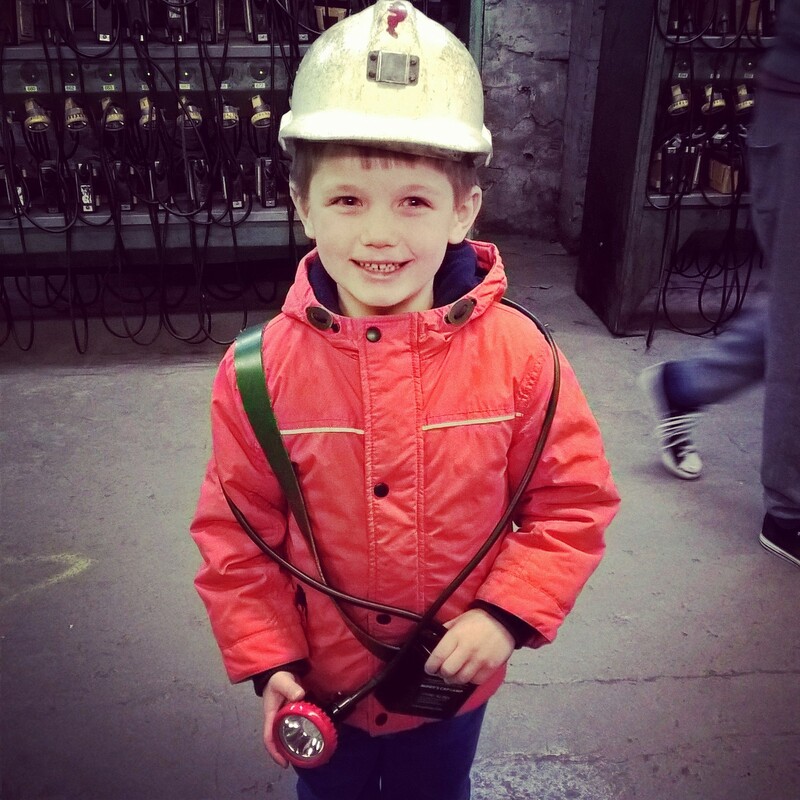 Whether its because its one of my earliest memories of school trips, or that my now 86 year old grandfather used to be a miner, I’m not quite sure, but whenever I visit I feel a great sense of joy and nostalgia! It is a place I love to go to time and time again and never tire of it. I just enjoy being there and now enjoy sharing that and stories of their great Granddad with my kids. Since that visit last summer Ethan has been patiently waiting to be old enough (5) to be able to go down the pit on the underground tour. He periodically asks if he is old enough to go back to that coal museum and go underground, and most recently it was this Friday evening whilst I sat trying to relax in my bubble bath! 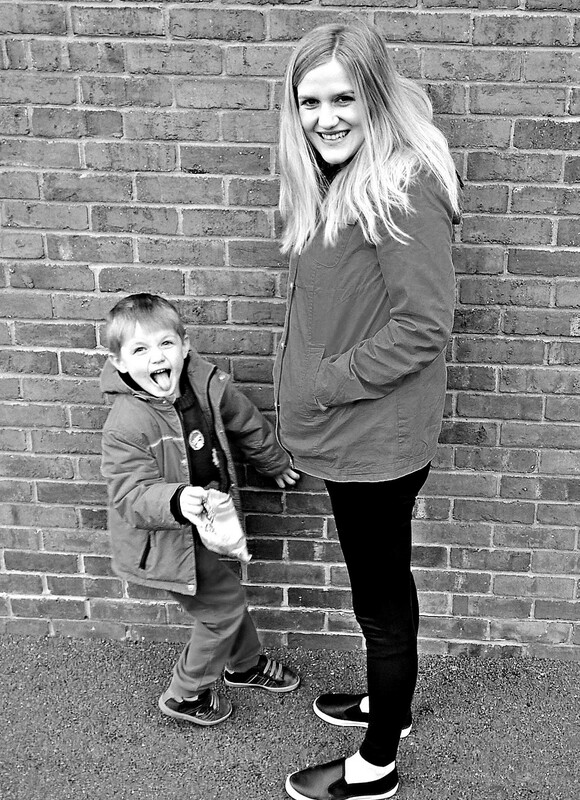 He excitedly burst through the door to tell me he remembered he was old enough now he was 5 and could we go “tomorrow”? 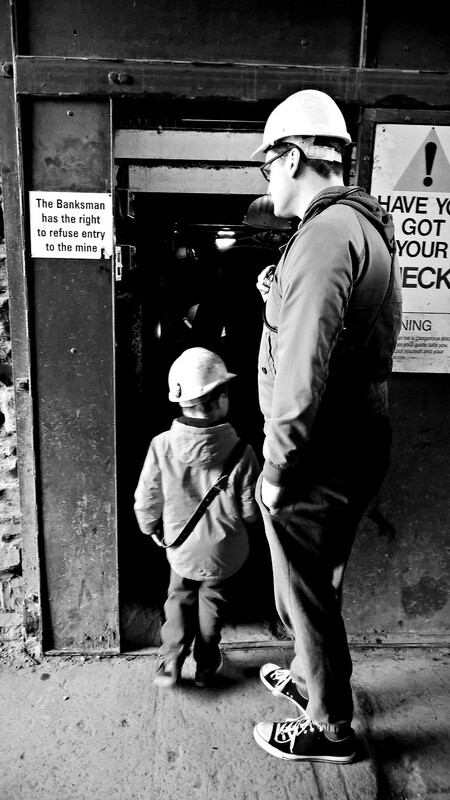 So yesterday our family day out took us back to one of my favourite places to see my little boys dream come true (how easily pleased they are)… he smiled the whole time; putting on his helmet, collecting his lamp, and heading into the lift with Daddy to descend 140 meters underground to explore an old mine for an hour whilst Megs and I explored the rest of the museum in daylight! I knew just how he felt when he returned, I recognised the excitement in his face and its how I feel every time I’ve gone since been his age too. It is such an adventure and experience, and whilst he admitted he got a little bit scared in places, he clutched to his piece of coal he had taken from far down below and grinned all afternoon, telling several people about how he had had such a great day and that he was now old enough to go underground. What a great moment for a five year old kid, and how great to give and experience these adventures with them. I love these ordinary moments in life of seeing my lovely husband having an adventure with his son, or seeing pure joy on the kids faces as things they have dreamt of become a reality. Its so nice to pass on the joys of our childhoods and memorable experiences to them, its great to see our humble heritage and keep it alive for another generation.